9 Feb. 1997 - I started a new what's new/log file at tvzlog97.html because I would like to use it to really focus on what's new and put it more towards the top of the page. This page will serve as the archive log for the first year or so of the Blue Sky pages. 30 Dec. 1996 - Added a couple new gifs [conference mailbox and Jukebox]. Both stolen and modified, I do admit. Thats the web. 28 Dec. 1996 - Added a page for tablature files. Searches show that these same files are stored in several places. As a convenience, I thought it would be nice to keep a local copy. Added a web counter to main page and conference page. 27 Dec. 1996 - The conference seems to work well. Chris Friedrich's TVZ mail list is up and running again also. I re-organized the home page. Brought Bo's song lyric page link up to the home page. Added the concert review to the Berlin 8/Nov/96 show. Updated Frans' TVZ by others page. I see this makeover as not too professional looking, but any change is good after this long a time. I remain mostly interested in providing content. Let me know what you think. 18 Dec. 1996 - Having listened to the new release "Abnormal", I put up a mini-review, artwork, and 2 samples to give folks a taste of what it is all about (a nice effort). 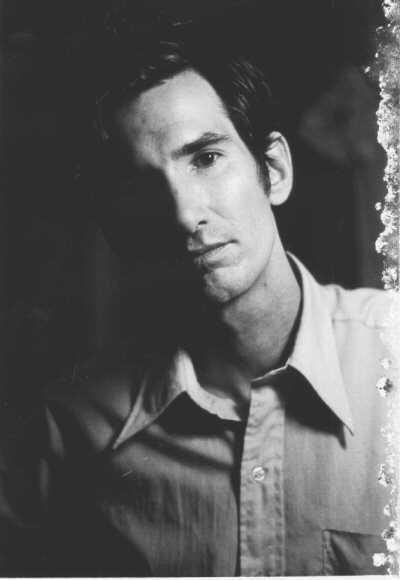 The main problem is it is of limited availability, at least from the U.S. Also, I am sorry that the Townes Van Zandt mail list has not been active, so multi-way communication is not happening. I will try to get a threaded conference page up soon. 14 Dec. 1996 - As I have found that on-line shopping works well for myself, and I remembered that the Guy Clark pages had some nice ready-searches for several music vendors, I adapted Topher's page and put it on-line. There are occasional rumors that several of Townes' releases are out-of-print, well, that is not true, at least when it comes to CDs. This page helps to prove that. Also, linked A Lone Star Webstation on the home page. As we stay in touch and basically share responsibilities (?) for the only major Townes Home pages, I wanted to feature Marq's page more prominantly. 12 Nov. 1996 - Changed the blue sky Home Page URL to http://www.orst.edu/Dept/entomology/coopl/tvzindex.html, in order to make room for index.html to serve as a personal/professional homepage for myself. Please update your links & bookmarks accordingly. a great place for internet software. Anyway I had "Rear View Mirror" and "Where Love Goes" handy, so I sampled from them, so people can hear a little bit of Townes' work. The 8 songs were mainly picked at random. Attempted a new background scheme for the samples page also - sort of works. 27 Oct. 1996 - Now working with animated GIFS - much fun! Also have the better part of photo gallery II done (9 photos, including several family type shots, several promo type shots). The remainder may not be as exciting - will be mainly from reviews and articles. I am now using Netscape Navigator 3.0 and will test these pages using 2.0. Plus I added a cookie based counter so people can track how many times they have been to this website. 18 Oct. 1996 - Added my TVZ tape list to "links" page, updated tour schedule and TVZ by others page (Thanks to Frans for all the hard work in trying to make the list accurate and complete, it really shows!). Added the 2 new albums to the discography, " Best of" and "Abnormal"; dont know anything about them yet, ordered them from CDEUROPE, so they should be available. 1 September 1996 - Added "DejaNews" search engine for folks to check out any TVZ discussions on internet news groups - I no longer read rec.music.folk regularly thanks to DejaNews. A few cosmetic touches to Photo Gallery I, now has 14 items. August 1996 - Some finishing touches to Photo Gallery I, played around with photoshop to create header. 24 August 1996 - Now with 11 photos scanned and mounted, the color shots were not working at first, will get the the remainder soon! 19 August 1996 - Started this log file to record changes and comments. Over the last month, I have been corresponding with Marquetta, the web master of the Townes Van Zandt "A Lone Star Webstation", the other known general purpose web site honoring the art and music of Townes. As a result, I have also corresponded with Jeanene Van Zandt, who sent a batch of photos and text material for our web pages. So, expect some major additions, and that we will soon be calling these pages "semi-official" or at least we will be giving some credit to Jeanene and perhaps Townes for helping out.